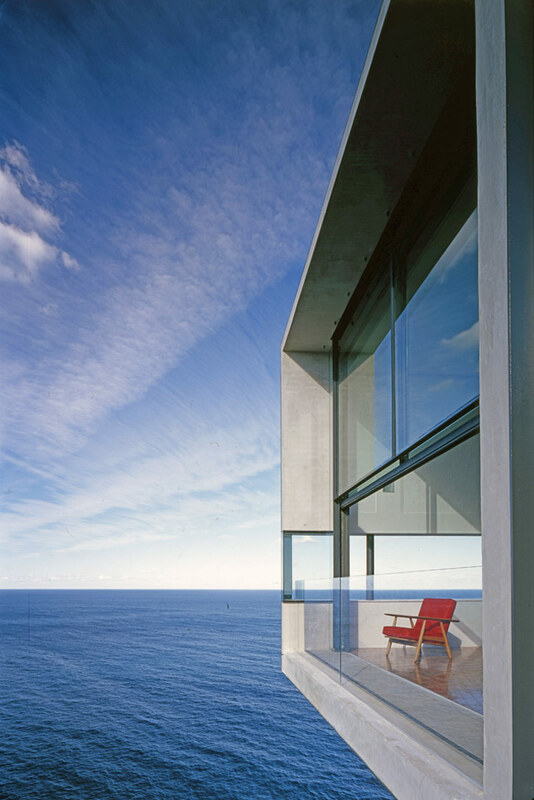 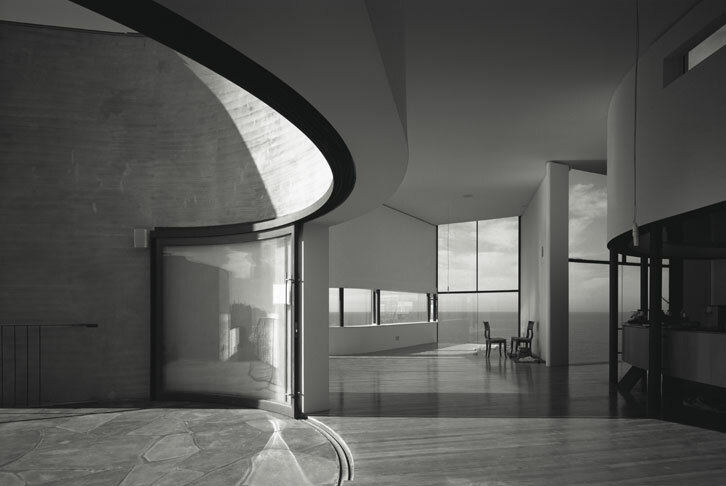 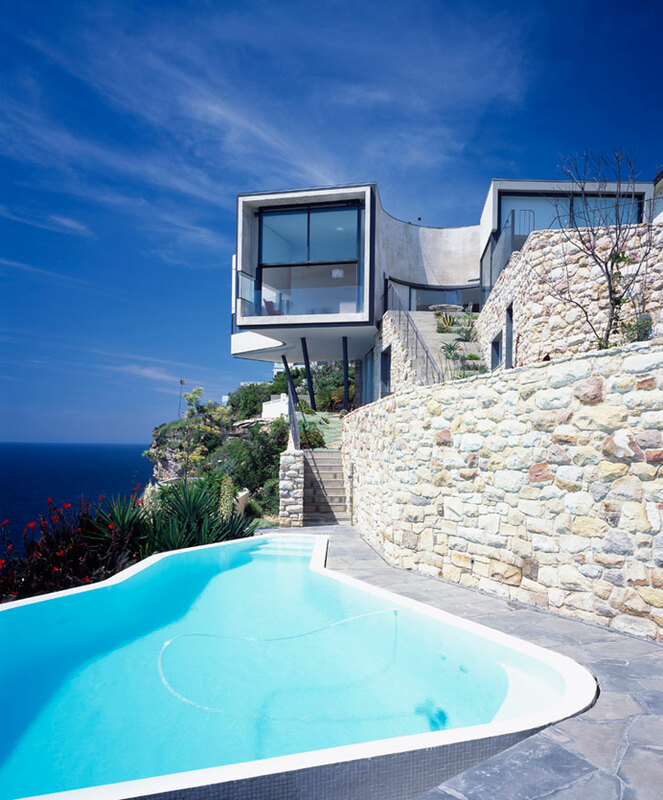 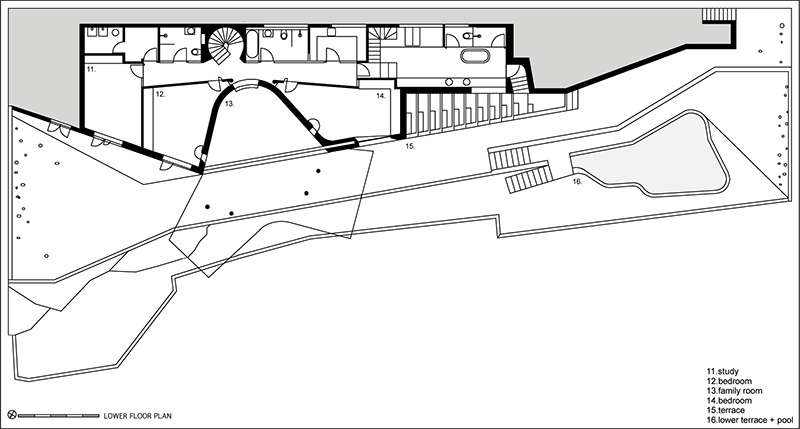 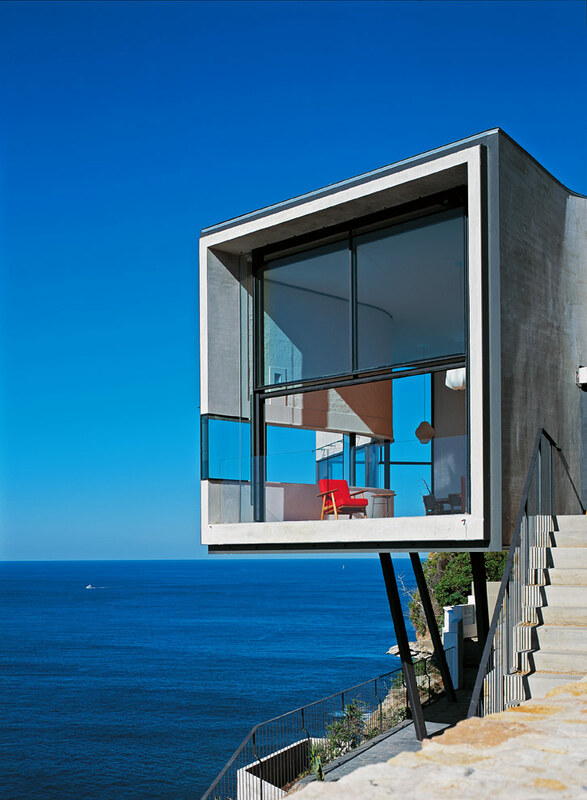 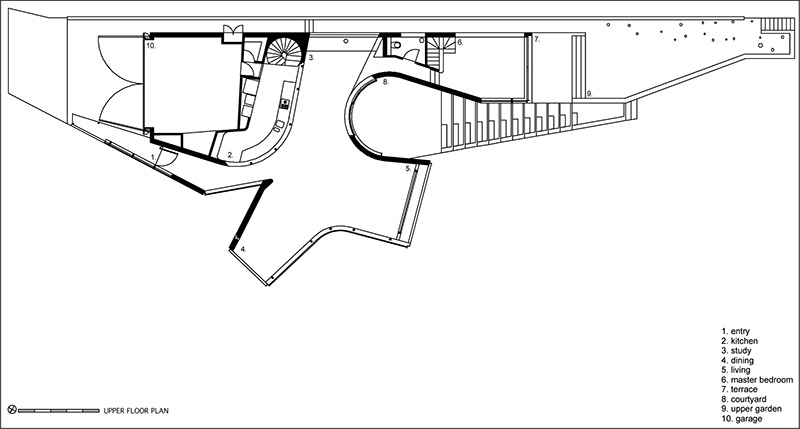 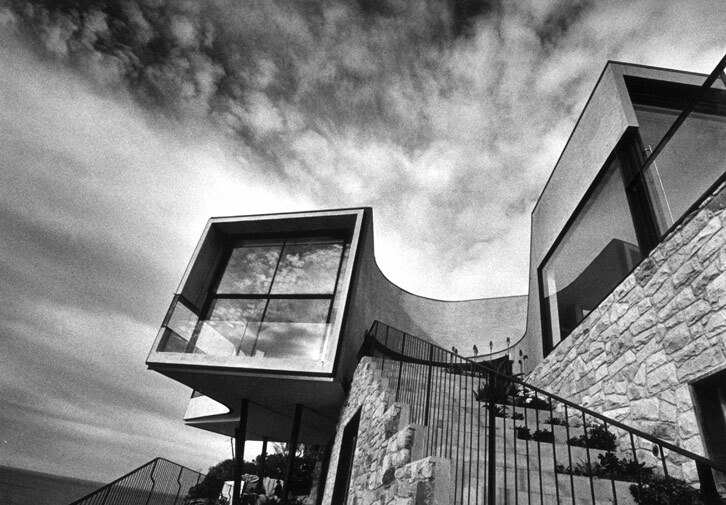 Sited on the edge of a 70-meter high cliff, the plan of Holman House refers to Picasso's painting The Bather. 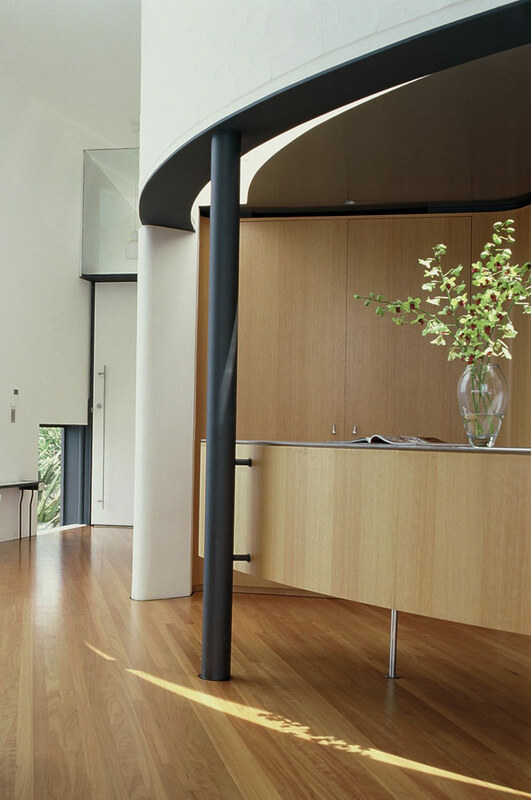 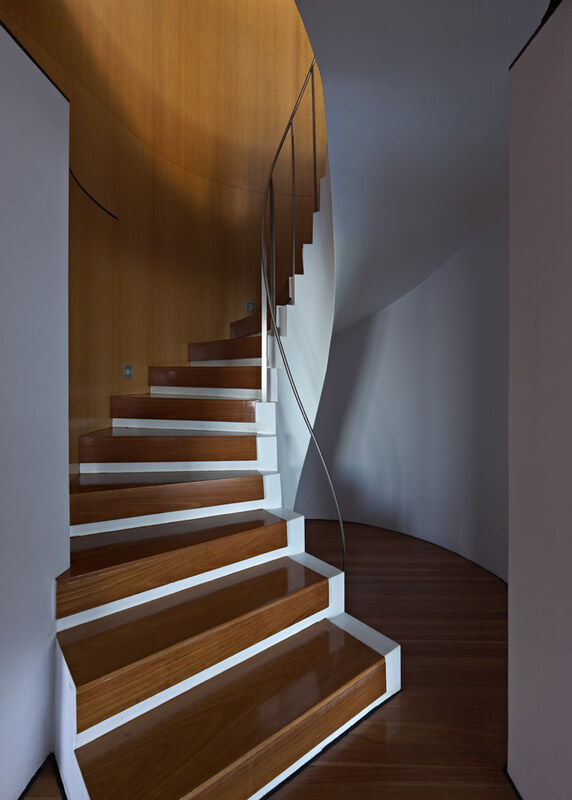 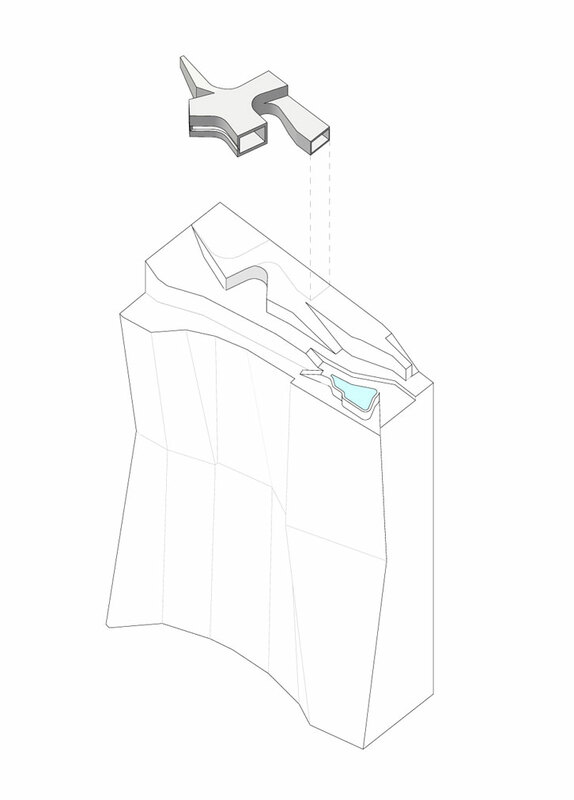 It contains a complex series of fluid living spaces set within a meandering perimeter that arcs, folds and stretches in response to sun, landscape and views. 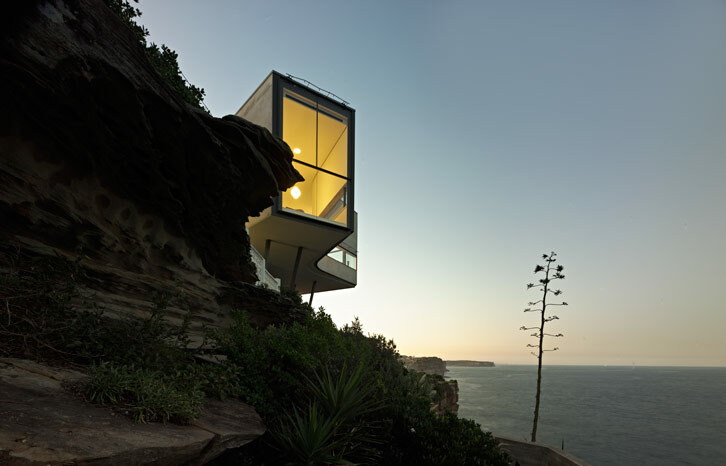 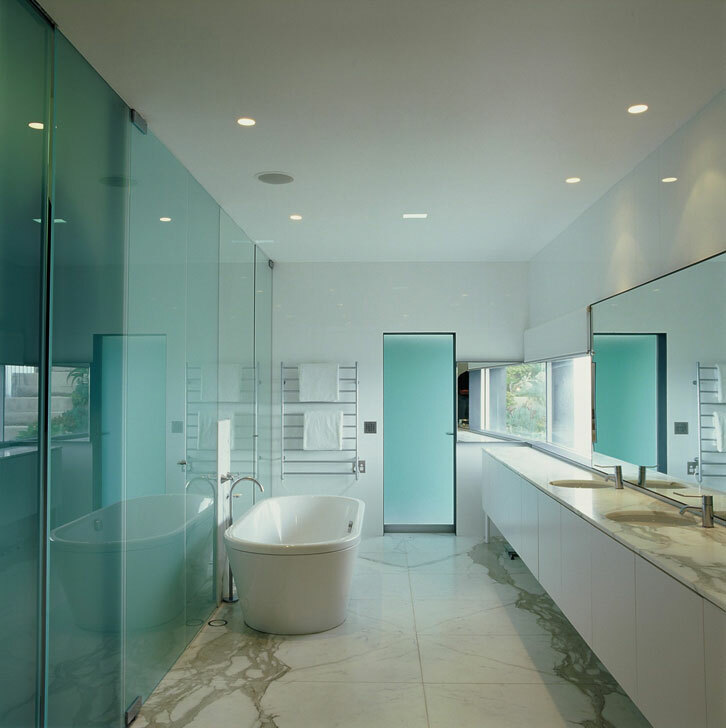 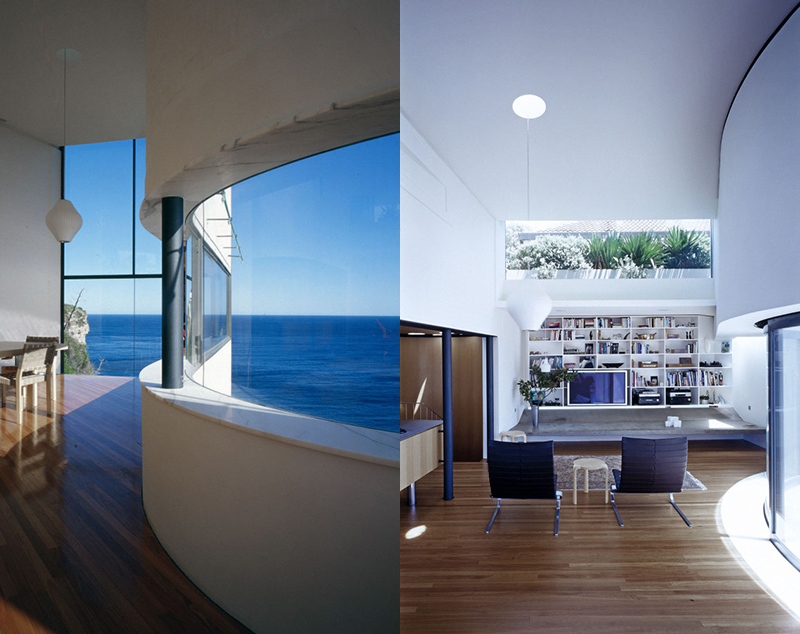 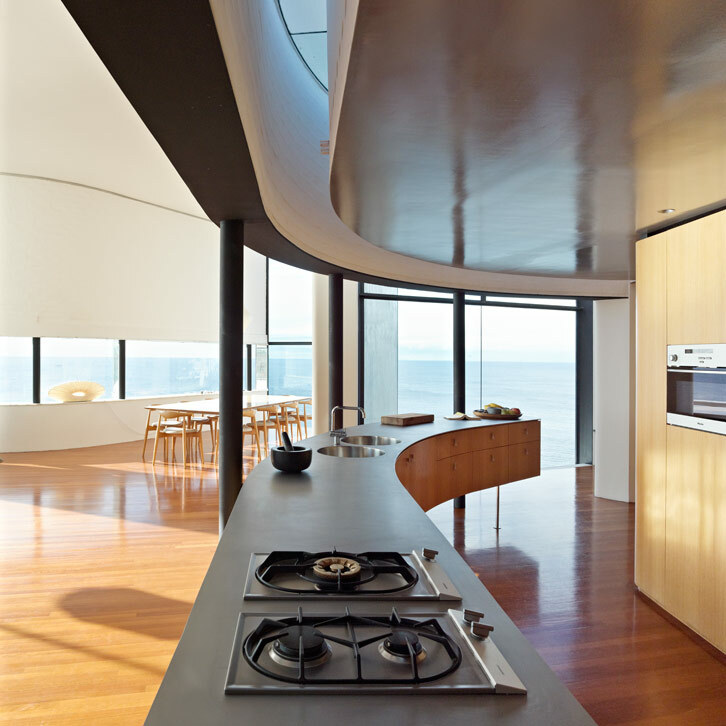 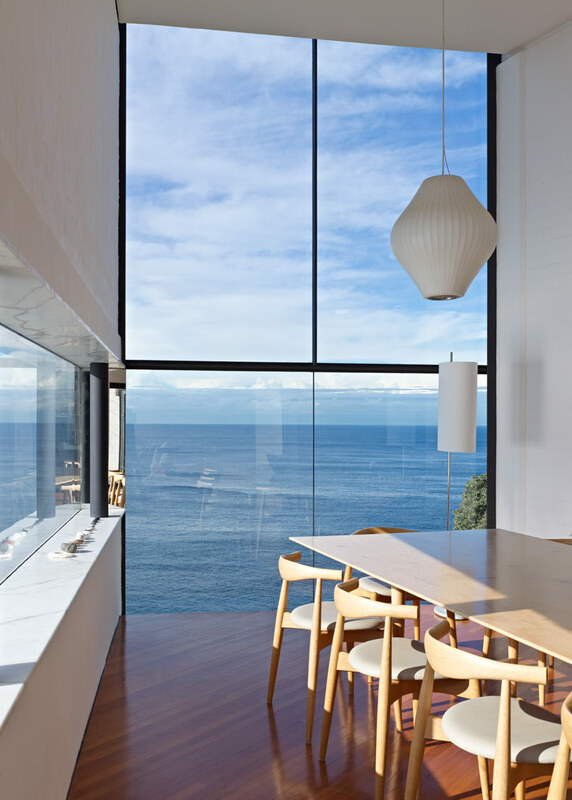 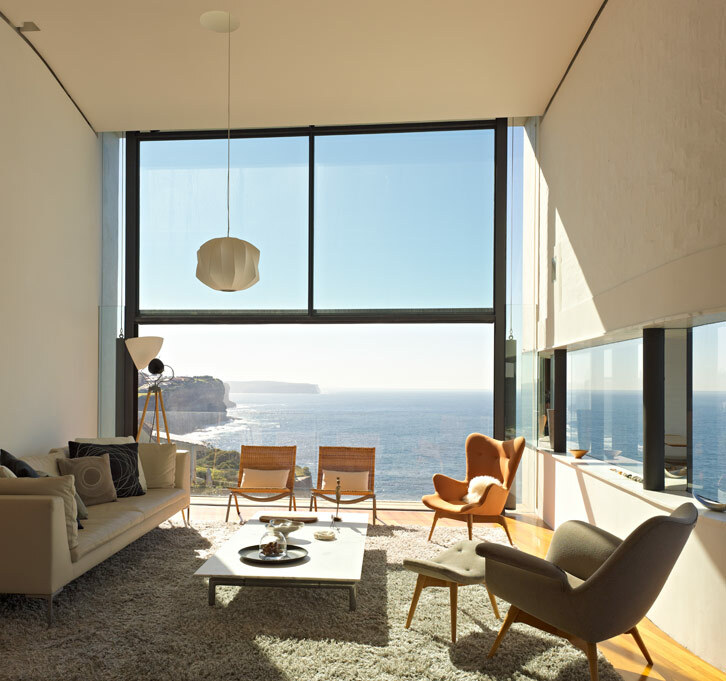 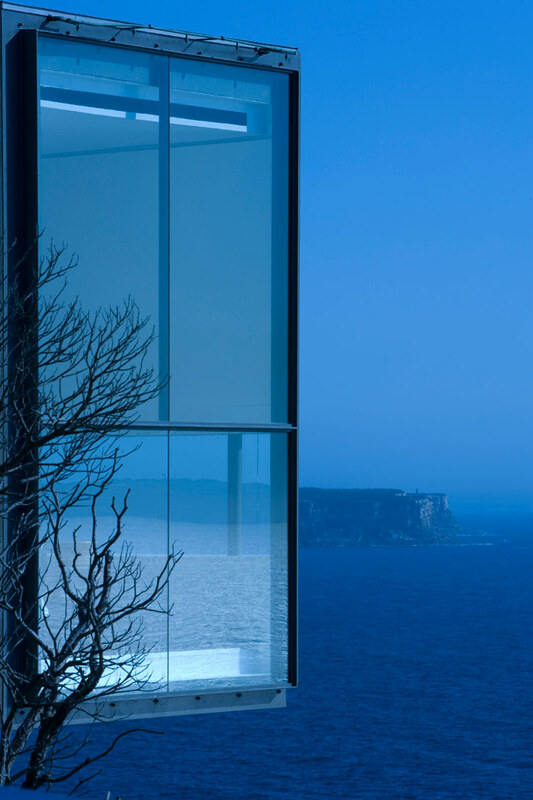 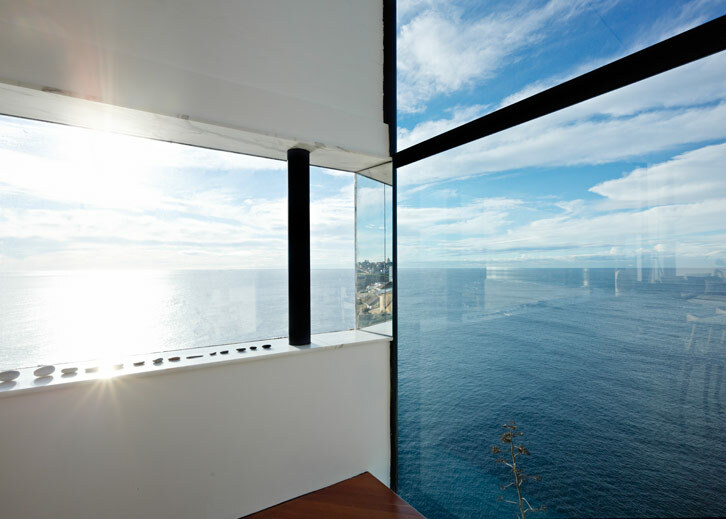 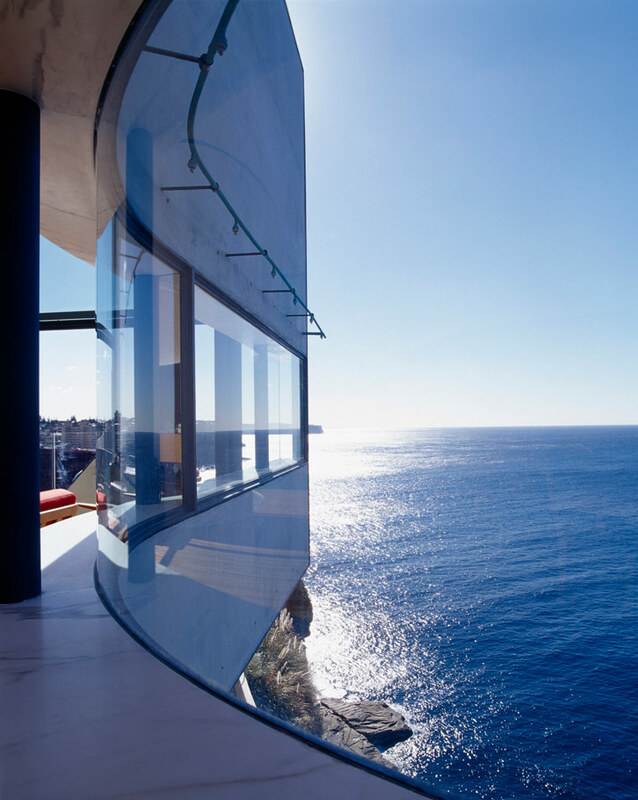 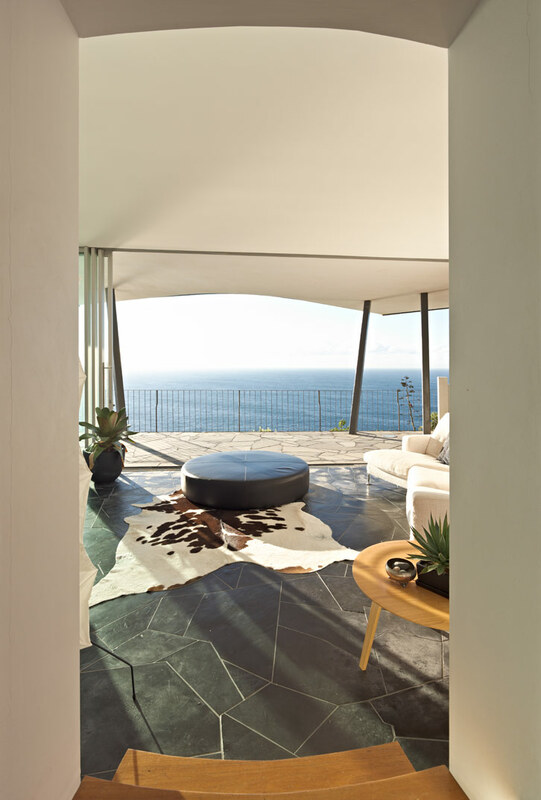 Living and dining areas cantilever out over the ocean, allowing dramatic views up and down the coast. 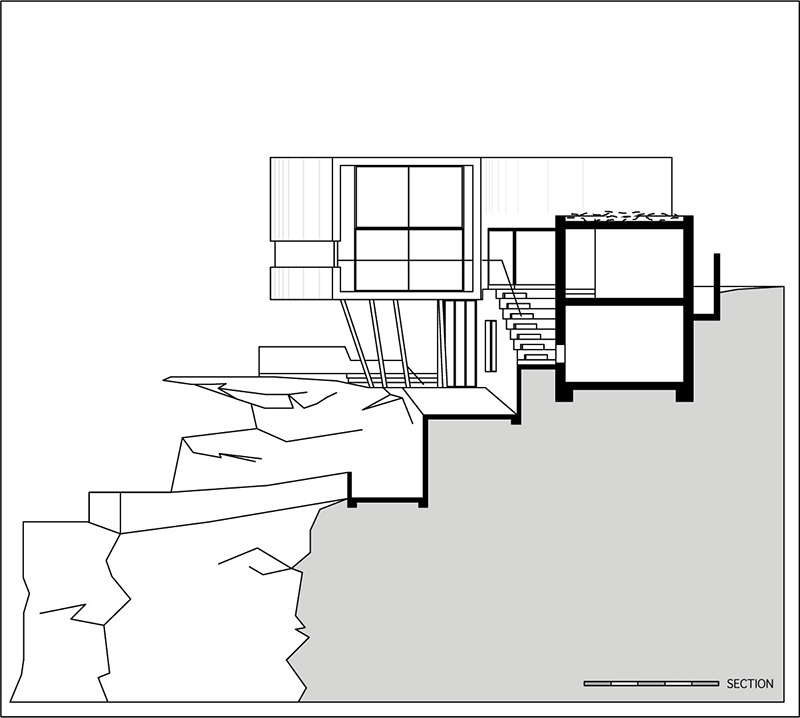 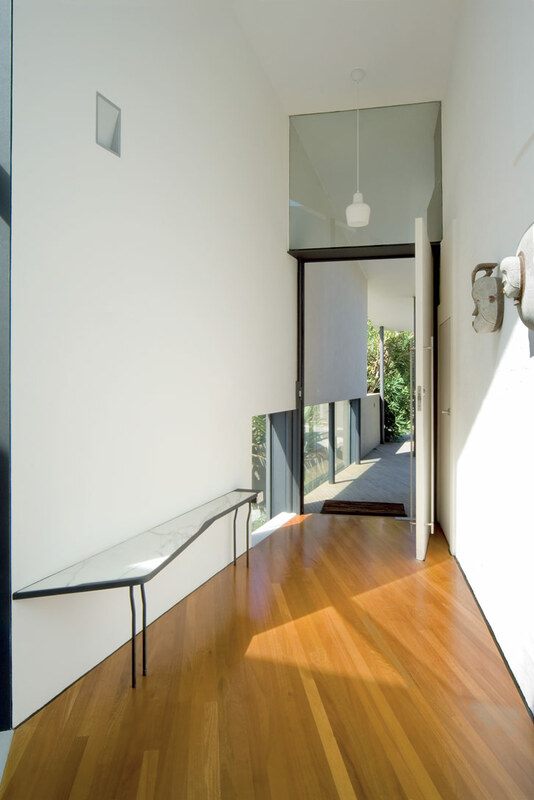 The lower floor forms a base that is built from rough stone walls like an extension of the cliff below. 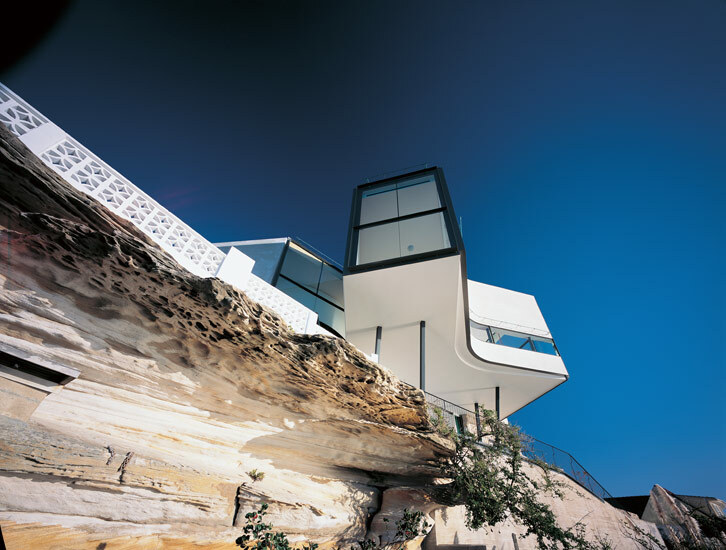 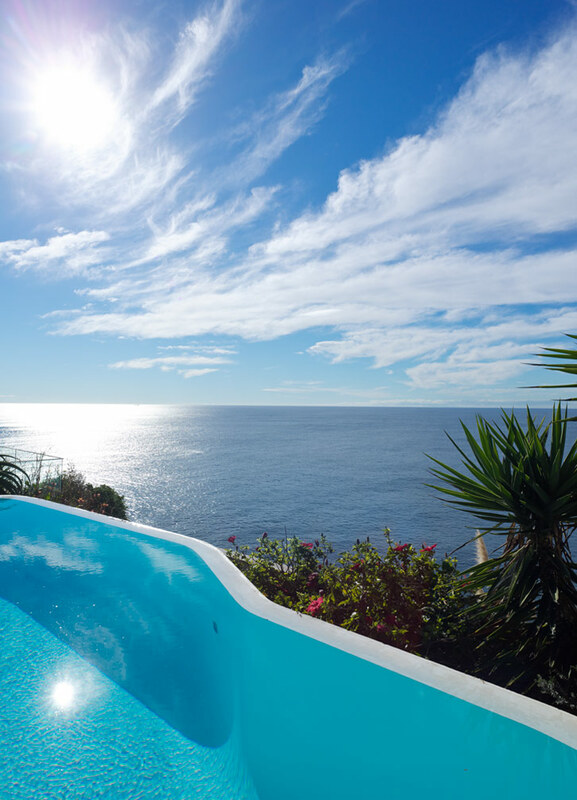 These walls continue along the cliff edge to form a series of eccentric terraced gardens and a vase-shaped rock pool.